I’ve been to a lot of Pride parades and festivals since attending my first in 1990. 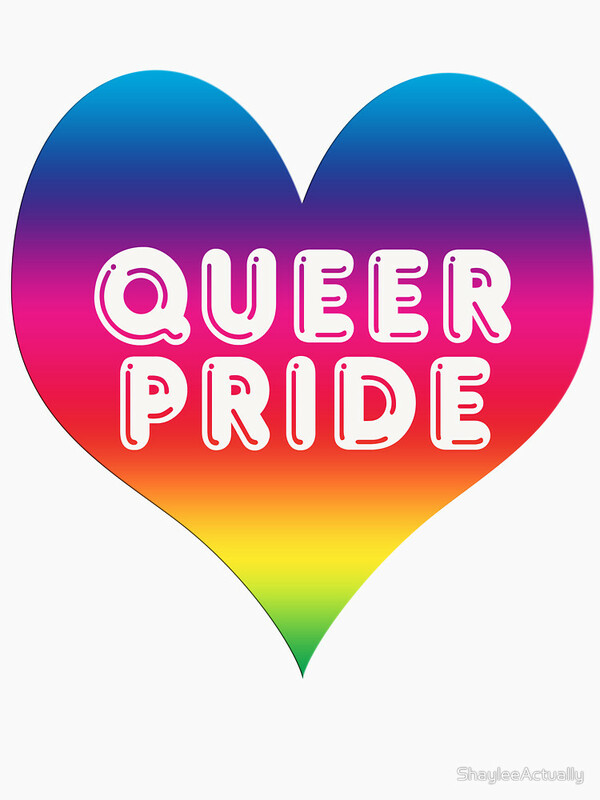 One year I participated in the San Francisco Pride Parade one weekend, flew back home to Seattle where I marched in our parade the following week, and then in August I found myself in Vancouver, British Columbia where I hadn’t realized it was going to be their Pride Parade. San Francisco’s was like so gigantically larger and brasher than any other I had ever seen, while Vancouver’s was small but very enthusiastic. The reason for the parade, ultimately, is to declare our existence–our survival in a society that is less than welcoming. We’re here. We’re your daughters, your neighbors, your sons, your co-workers, your friends, your siblings, or your parents. We’re not mysterious creatures lurking in seedy clubs–we’re the guy sitting across from you on the bus reading a book, or the two gals sitting in that next pew at church, or the pair of guys in the grocery store discussing how many hot dogs to buy for the cookout, or the grey-haired guy trying to read a label on a bottle of cold tablets in the pharmacy, or that kid on the skateboard going past your bus stop, or that guy sipping a coffee at Starbucks, or that gal a couple table over at the same coffee shop laughing at something on her computer. We’re real, we’re everywhere, and we have hopes and dreams and worries just like you. We’re not asking for special rights, we’re asking for the same rights you take for granted. We’re asking to live our lives as openly as you live yours. I enjoy watching the parade to acknowledge that survival. I cheer while watching the parade to express my admiration, support, and love for all of these survivors. I cheer for people who are being brave and marching in their first parade; we see you and welcome you to the tribe. I cheer and applaud so that those whose families rejected them and told them never to come back will know they have another family, and we’re clapping for them right now. I cheer so that group of teen-agers (half of them straight and there to support their bi, gay, lesbian, and trans friends) will get the recognition they deserve. I cheer so the couple in their matching sequined costumes will know someone appreciates the work they spent (perhaps being up all night gluing those sequins on). I cheer the older couples walking together holding hands; we see your love and we celebrate how long you and your love had endured. I cheer the younger couples walking hand in hand; I wish I had felt free to do that at their age, but I hope they have a bright future. 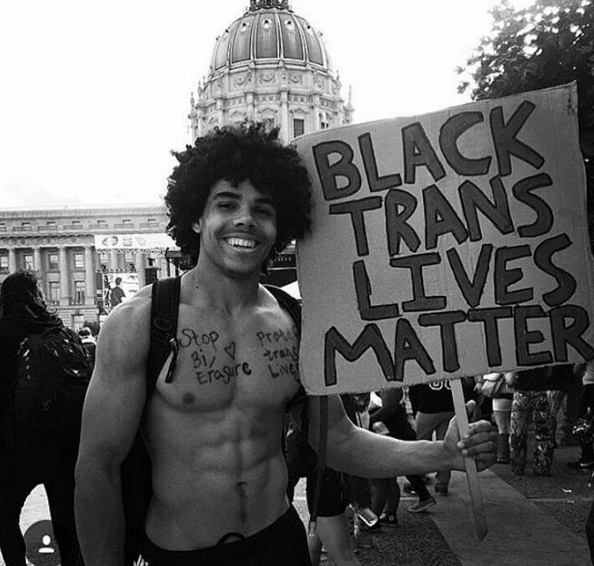 I applaud and cheer so that the trans* gals and trans* men know they are seen for who they are and we think they’re beautiful, wonderful, and I am proud to call them brothers and sisters. I cry when I see those who are carrying a photo or wearing the name of a deceased loved one; we see your loved one and share your grief. 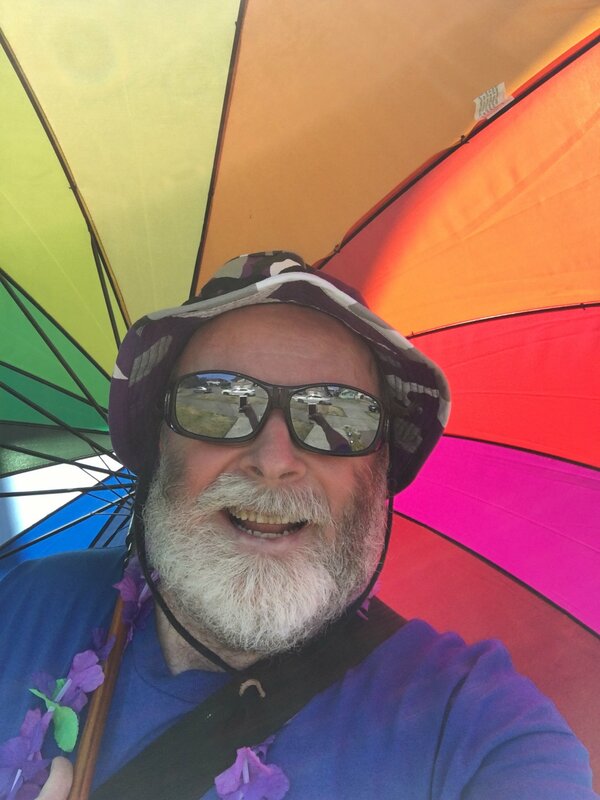 I cheer for PFLAG so that straight parents who have spent countless hours explaining to friends and relatives that their queer kids have nothing to be ashamed of, and yes they are very happy, and no those things you’ve heard or read about their health and lifespan are all myths will know their efforts are appreciated by the whole community. I clap and cheer and laugh and cry as the parade goes on and on showing how big and wonderful and diverse and amazing our community is. 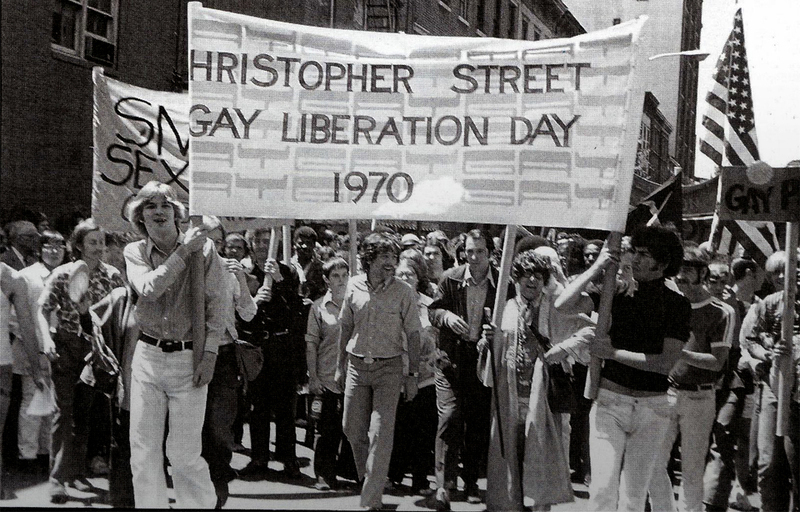 The very first Liberation Day Parade in New York City, was a protest march on the first anniversary of the Stonewall Riots (the first Pride was a riot). People were afraid of what would happen at the first march. Only a couple dozen people showed up at the starting point, with their protest signs. But they marched. And all along the announced route of the march, the sidewalks were lined with people. 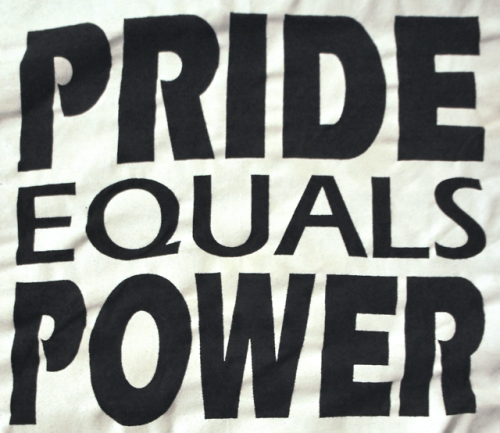 Street queens, and trans people, and gay men and lesbians and queers of many other stripes. And then completely unplanned thing happened. As the small group of marchers went be, queer people and supporters started stepping off the curb and joining. By the time the marchers reached the Sheep’s Meadow in Central Park, the crowd numbered in the thousands. 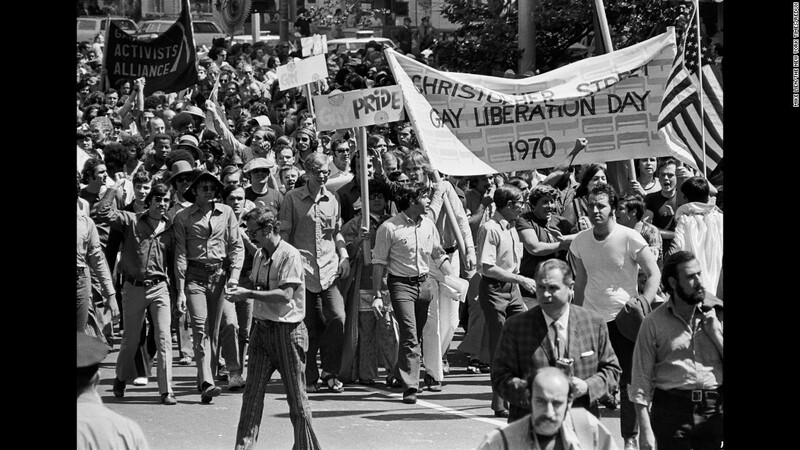 It has been a tradition of Pride Parades ever since, that spectators step off the curb and join the march. So when I march, there comes a point where I do that. I have cheered and applauded and made sure that others were seen. I have witnessed their love and courage and unique style. Until it is my turn to join the march. To be visible. To declare by my presence in that throng that I am queer. I’m here. And I will never go back into the closet.